A wilderness area and river in the Western United States that straddles the border of Utah and Arizona. Probably the naming inspiration for the Nike Air Paria hiking boot. A trademark for a polyether block amine (PEBA) plastic resin manufactured by the Arkema Group, a diversified chemical manufacturer. 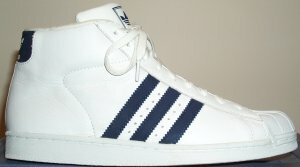 Frequently used for the outsoles of cleated athletic shoes, particularly those sold by adidas and Puma. Also used in some Nike Shox styles. A brand of sneakers that are now mainly of historic interest. At one time, made by B. F. Goodrich. Advertised as making their wearer "Run Faster... Jump Higher." Their sneaker division later on merged with Converse. Mainly of interest to those watching the movie "The Sandlot." The "PF Flyers" name has been around a few times since the Baby Boomers were kids. 1962: PF Flyers were made by Hood. 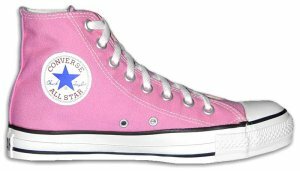 1971: Converse bought the Goodrich athletic shoe brands. Converse soon after spun off the PF Flyers brand to settle a Department of Justice complaint they were monopolizing the sneaker market (such as it was) of that day. Converse kept the Jack Purcell line for their own. 1991: LJO, Inc. buys rights to the PF Flyers name and produced some product under the name... but they looked like a canvas Reebok Freestyle. 2001: New Balance buys rights to the PF Flyers brand. 2003: New PF Flyers products (updated with New Balance's ABZORB technology) are rolling out to the stores! Nike's brand name for compression-molded EVA. Also known as gym class. A part of modern education in the United States and many other countries. It gives brain-damaged football players one class they can do well at. Excess locker-room horseplay may result in Physical Education turning into a track meet. Gym class in the United Kingdom. Equally horrible on either side of the Atlantic Ocean. Peripherally Inserted Central Catheter. A device for IV access that is suited for use for prolonged periods. It involves inserting a thin line down a peripheral vein that goes to the superior vena cava, a major vein near the heart. Usually used when dealing with extended treatments by infusion. I (Charlie) had a PICC when being treated for a nasty MRSA infection in Spring 2017. A PICC sounds a lot worse than it is, they insert one with plenty of lidocaine so you really don't feel much at all. After they're done inserting, it doesn't feel like much either. I did have a mild ache in the PICC arm for a few days after they took it out. And the best thing is they can do blood work through the PICC, so no additional poking going on! One of the many colors of Chucks... but one of the ones that gets attention. 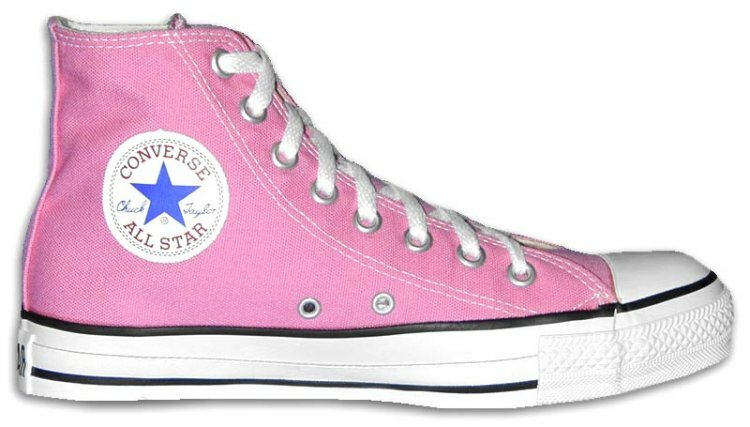 When Converse didn't have these available, desperate readers resorted to using pink liquid embroidery ink on white Chucks to obtain the desired color. A procedure in transfusion medicine, where a donor donates platelets and has the rest of their blood returned to their circulation. I (Charlie) try to do it as much as I can. For platelet donors, there are restrictions on the number of times you can give in the past 365 days (a total of 24 times, but no more frequently than every seven days), the number of red blood cells you can lose in the past 365 days, and the amount of plasma you can lose in the past 365 days. Gulf Coast Regional Blood Center, the main blood bank here in the Houston area, prefers that platelet donors come in "peanut buttered" over the entire year. Plateletpheresis is similar to whole blood donation except it typically takes close to two hours, with typically sixty to a hundred minutes on the machine. Unlike whole blood donation, where you get to squeeze all the time, you alternate squeezing when the machine is taking blood and relaxing when the machine is returning blood. I usually watch the early evening news on ABC 13 in Houston and tap on my Apple iPad with my free arm. I even take selfies of my donor arm! 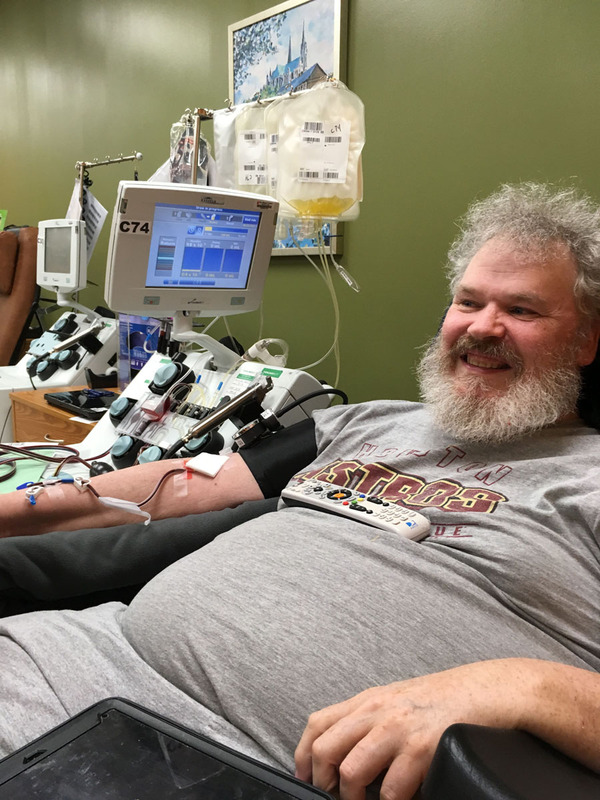 The advantages to plateletpheresis are that you can safely give a lot more platelets than whole blood, and the recipients are exposed to blood products from a lot fewer donors. In the United Kingdom, a term for old-fashioned canvas sneakers, not widely seen any more. The ribbing on a Plimsoll bears a resemblance to the legal load markings (Plimsoll lines) painted on ships. Most sneakers in the United Kingdom are now referred to as "trainers." A trademarked insole material used by ASICS in many of their athletic shoes. A plastic made of polymerized urethane. Used to contain the inert gas in the Nike AIR system. Also used as a midsole cushioning material; it is stiffer than EVA. An athletic shoe brand that was popular in the late 1970's and early 1980's. The rights to the Pony brand went through several changes over the years. The term used to describe the midsole (usually abbreviated "PF") of the original "PF Flyers" sneakers. 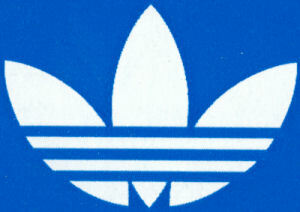 A frequently heard nickname for the Trefoil logo used by adidas on their Originals products, including the Shell Toes styles. The adidas marketing department probably wishes Baby Boomers would stop thinking this, particularly when their teenagers want new sneakers. Trade name used by the Bata Shoe Organization for their athletic shoes. During the 1960's and 1970's, the Bata Shoe Organization used the "Bata" name on their athletic shoes; no more, at least in the US market. A lightweight running shoe from Nike, part of the Alpha Project. Nike says it is "like a T-shirt for the feet." Yes, they are extremely comfortable. However, I (Charlie) think an athletic shoe should be more like a jock for the feet... even a pair of Air Deschütz sport sandals seem more stable. I found that they weren't durable. 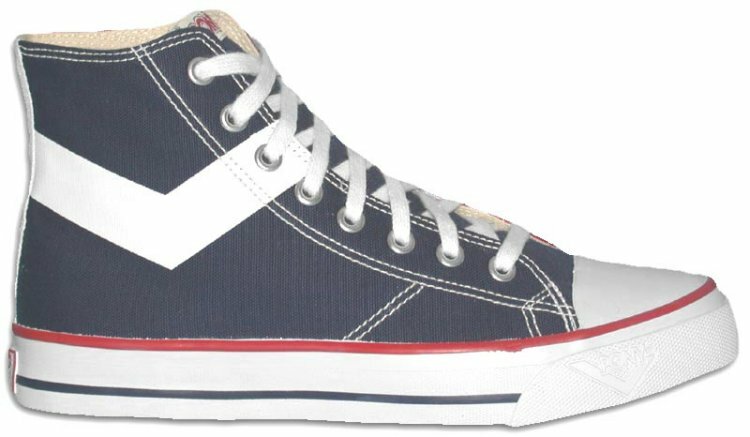 A canvas basketball sneaker (for men) manufactured by the Keds Corporation. They are roughly comparable to Chucks, but there are a number of detail styling differences. From what Baby Boomers have told me about their teenage years in the United States, there were differing regional preferences for either Chucks or PRO-Keds. I (Charlie) only occasionally saw them as our old school basketball team was always in Chucks except for one year in adidas Superstar shoes; only once did I specifically notice an opposing player wearing PRO-Keds. The tendency encountered by some runners to have their feet roll inward while running. In this case, their running shoes need to have motion control features. Polymerized vinyl chloride. A type of plastic resin sometimes used in athletic shoes. An unpleasant odor: such as sneakers that have been worn without socks. The chemical symbol for plutonium... one stinker of an element! A brand of sneakers. Their name and logo come from the cat of the same name. The stripe down the side is known as a formstrip. Extremely popular with Baby Boomers but not one of the first-line brands now, at least not in the United States. Interestingly enough, Puma was started by Rudolf Dassler, whose brother Adi founded adidas. A retro style from Puma named for the state of California. Given the proverbial laid-back nature of California, however, shouldn't it be a sport sandal? According to one of my readers Down Under, this is what people call the Puma Clyde sneaker in Australia. An inflatable athletic shoe technology marketed by Reebok. Described in US Patent 5113599. Music almost as bad as rap music. Unlike rap, punk rock is actually performed on musical instruments. The difference between golden oldies rock and punk rock is akin to the difference between a cat purring and a the sound of a catfight. Canadian badminton (Jack also played tennis) player of the 1930's. His namesake sneakers are sometimes referred to as "Blue Tips" or "Jacks." Anyway, they're now a fun retro style marketed by Converse.